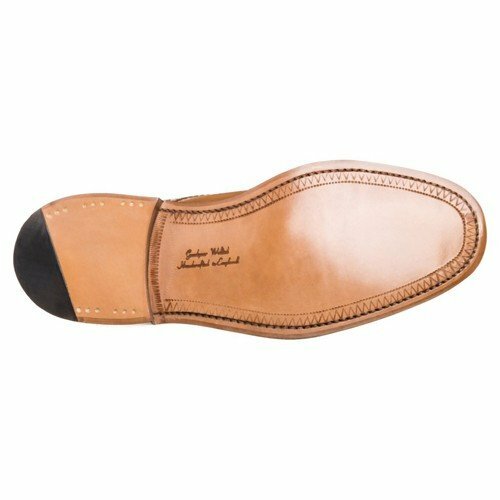 I was wondering if anyone could help.. trying to locate a bunk wheel/crow wheel, used for decorating soles usually around the heel breast and around the stitching. Not even to sure if bunk wheel/crow wheel is the right terminology. Can’t find them anywhere. I bought an old one off ebay to create the lined pattern around the heel, I think it was called a fudge wheel!! I use the ones above from Tandy for the sole bottoms. Yep, fudge wheel it is! Woodware Repetitions hold or held all the old Barnsley tools after they ceased trading. But the are so antiquated they have no web presence and even still type their invoices. I brought from them only a year or two ago so I assume they are still with us. Get yourself a meths burner from them also. heating up the tools makes a massive difference to the end result. And whilst your at it. get an iron to close down your stitching grove the times I see pictures on social media of a half tidy repair with a ragged stitching grove, its like those who get pictured the union jack inside out like Laura Kenny at the cycling last night, both wind me right up!